You are measured by user satisfaction and productivity. At the same time, you need to keep operations costs within budget and with as few IT management tools as possible. Ever shrinking budgets mean that you are constantly being asked to do more with less! eG Enterprise can help you achieve all of these goals. 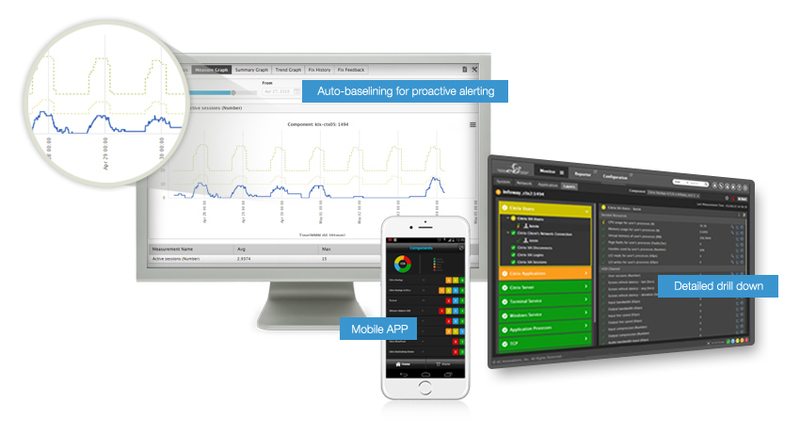 The automatic analysis, correlation and alerting capabilities are proven to be proactive – you will be alerted you to issues before they happen and before users notice. Diagnosis is so simple that your helpdesk staff can do first level troubleshooting and triage and your experts no longer have to spend a lot of time on routine issues. 83% of eG Enterprise users have reported seeing value within a month of deployment. With eG Enterprise, you can ensure lower downtime, faster resolution of problems and more efficient user of your IT experts’ time.